After feeling awestruck by the performance of the actor and actresses in A Quiet Place, curiosity must be creeping in now. If you are curious about the deaf daughter in the film, the name is Millicent Simmonds. This is your chance to know about the details of Millicent Simmonds biography and filmography aside from the fact that she was the deaf daughter of Abott family. This article will also explain about the biography of Millicent Simmonds, the birthdate of Millicent Simmonds, the Instagram account of Millicent Simmonds and his partner. 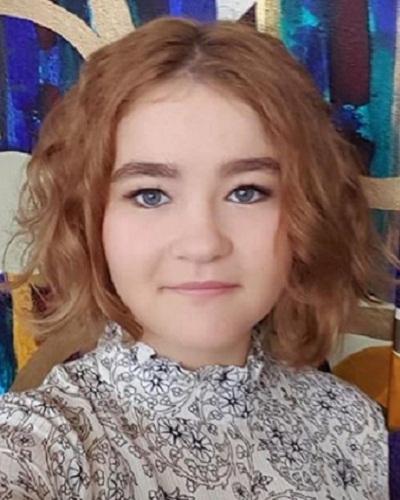 Let’s move to the first thing, Millicent Simmonds was born on March 1, 2003, in Utah. The thing is she lost her ability to hear when she was only a baby. That was when she was twelve months old. The cause of this is medication overdose. It’s lucky for her to have such an understanding and loving family. Once she was diagnosed, her mother decided for the family to learn the sign language. All of this is for Millie to feel neither isolated nor lonely. Years passed, and she started to attend Jean Massieu School, a school for the deaf. She took interest and decided to participate in the drama club. Things go right for her drama teacher got a casting email for a hard of hearing actress for a movie adaptation of the book Wonderstruck. The teacher encouraged Millie to do the audition though the latter was hesitant for a moment before she did. Millie said to herself, it’s just for fun. Her acting was very impressive, or that’s how the director claimed. It was reported that Todd Hayness, the director was even brought to tears with her acting. Noticing the massive amount of talent from the young lady, the production team reaches Millie out for her to do another round of audition. Things went smoothly, and she got the role. The decision of the production team was somewhat surprising her because the only experience she had in performing is the one at Utah Shakespeare Festival which was held in Cedar City. The production was done, and the movie was released. Wonderstruck was a success. And the young lady who played Rose, Millie, was even listed by AP as one of the 2017 Breakthrough Entertainers. On the other hand, Time included her performance as one of the 2017 Top Ten Movie Performances. Not even a year later, another opportunity came to this lovely young lady. A Quiet Place, one of the horror slash thriller movies which shaking 2018. Along with Noah Jupe and Emily Blunt, she was assigned the role of Regan Abott.